So there’s a known bug where upgrading vCSA via the VAMI freezes at 70%…. I was doing a mass upgrade of all my vCSAs in the demo environment at work, and all of them got stuck at 70%. Anyways, after checking the software-packages.log, I could see the packages upgraded successfully entry so just rebooted the vCSA. All up and working again! 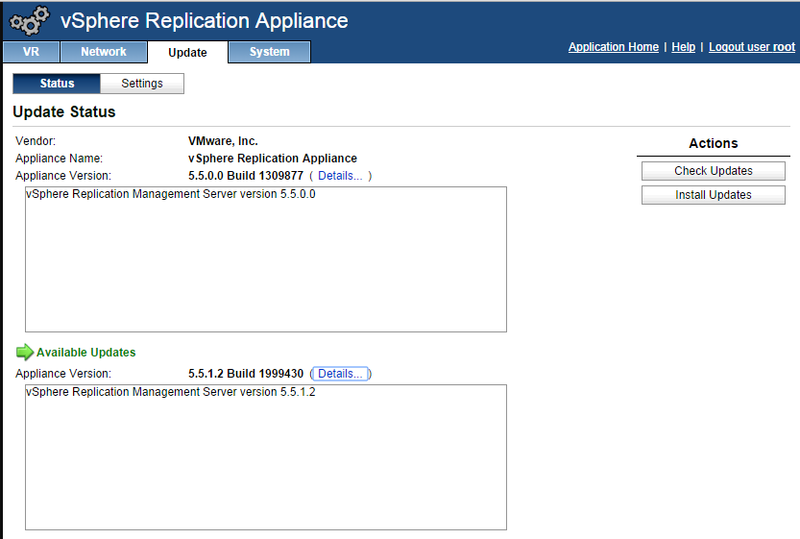 Now that vRealize Ops 6.2 has been released, it’s time to upgrade your Ops Manager virtual appliance. So how do you do that? Well, it’s pretty simple actually! Nearly all of VMware’s virtual appliances have a simple upgrade process where you download an upgrade PAK file and upload it to the admin page of the appliance – and once uploaded it’s just a simple “click and install”….! First up, download the 6.2 upgrade PAK file from the My VMware Portal. You will required TWO upgrade PAK files, one to upgrade the vApps OS, the other to upgrade the vROps product. Before starting the upgrade it’s probably best to either take a backup or a snapshot of your entire vRealize Operations cluster as a precaution. On the left navigation menu, click Software Update. Note the version that vROps is currently at (for me it was 6.1). Click Install a Software Update. Firstly perform the OS upgrade. This updates the OS on the virtual appliance and restarts each virtual machine. Follow the wizard to locate and install the OS PAK file. Note: If you have customised the content that vROps provides – such as alerts, symptoms, recommendations, and policies – and you want to install content updates, a best practice is to clone the content before performing the upgrade. You can then select the option to reset out-of-the-box content when you install the software update, and the update will provide new content without overwriting any customised content. Click Upload to stage the upgrade files. Once upload has completed, a summary of what the PAK file contains is listed. Click Next and accept the EULA, then click Finish to start the upgrade process. Once the upgrade is complete, vROps will restart and you need to log back into the admin page. Navigate to Software Update and you will see a message stating what previous software update was installed. Now repeat the upload and installation process for the Product upgrade PAK file. 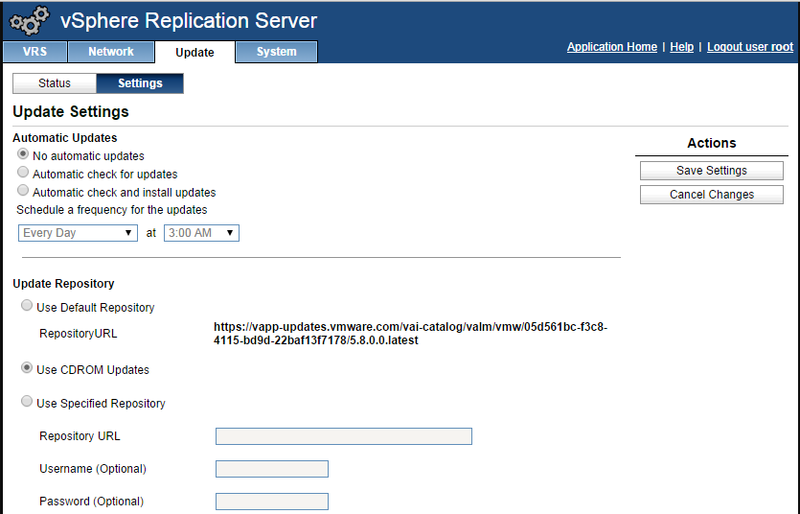 Once again, vROps will reboot after the Product upgrade PAK file has been installed. Log back in and navigate to Software Update, you should now see that vROps has been upgraded. There you go… nice and simple! Hmm…. an update to 5.5 already! Note: this update process will reboot your vCSA so you will lose connectivity to your vCenter Server! Be warned! 5. Once update is complete (for me it was about 10mins – dependent on size of DB), reboot the vCSA to initialise the new update. 6. Click the System tab and click the Reboot button. 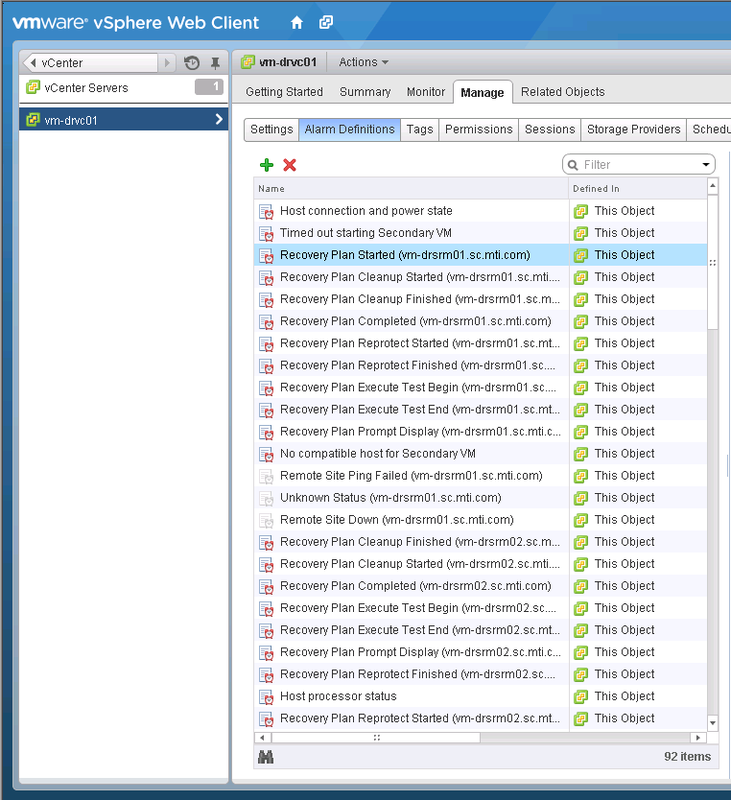 Once rebooted, the vCenter Server should be assessible again. If you are not connected to the internet, then you can download the update ISO file from your ‘My VMware’ portal. 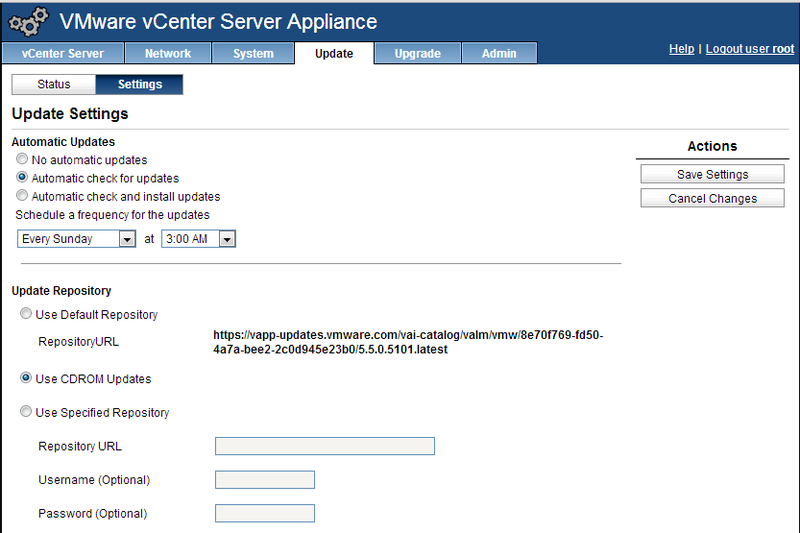 Once downloaded (about 1.6GB), mount the ISO file to the vCSA VM and navigate to the Settings section under Update. Select Use CDROM Updates as the Update Repository, click Save Settings and then follow the instructions outlined above from Step 2. The Joys and Pains of upgrades….. 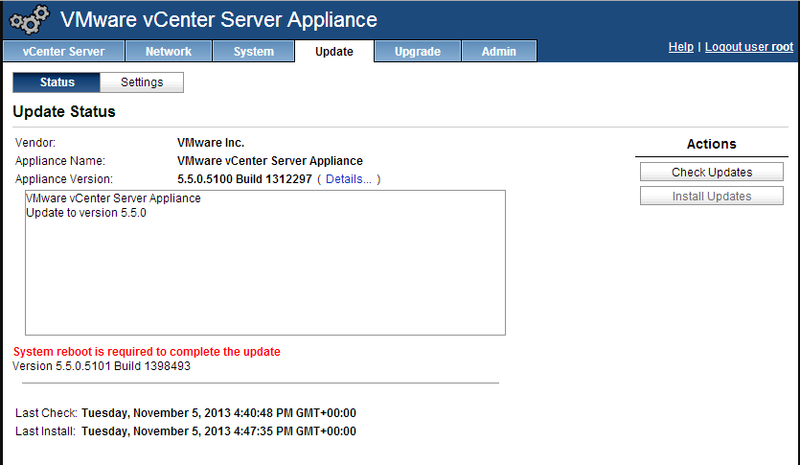 Upgrading the vCenter Server Appliance was straight forward enough…. follow the wizard and kick back and relax as it goes off and does its job…..
After 2hrs and a quick reboot – voila…. sorted! mount the ISO file, run the SSO installer (separate one, not the simple as that doesn’t work), run through the wizard making sure you use the SSO admin password! Reboot (as it changes the window services). run the Inventory Service installer. 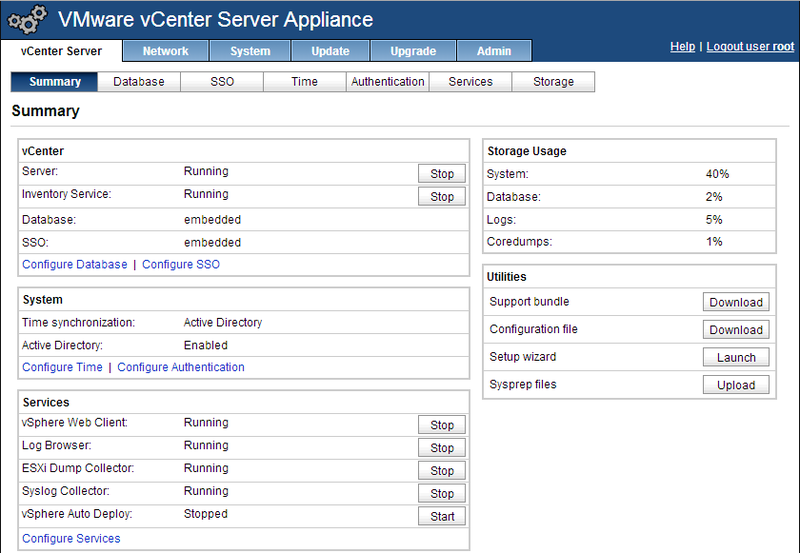 run the vCenter Server installer. an hour later and it’s all done (actually I was multi-tasking with other work, so I guess you’re talking 20mins in total). 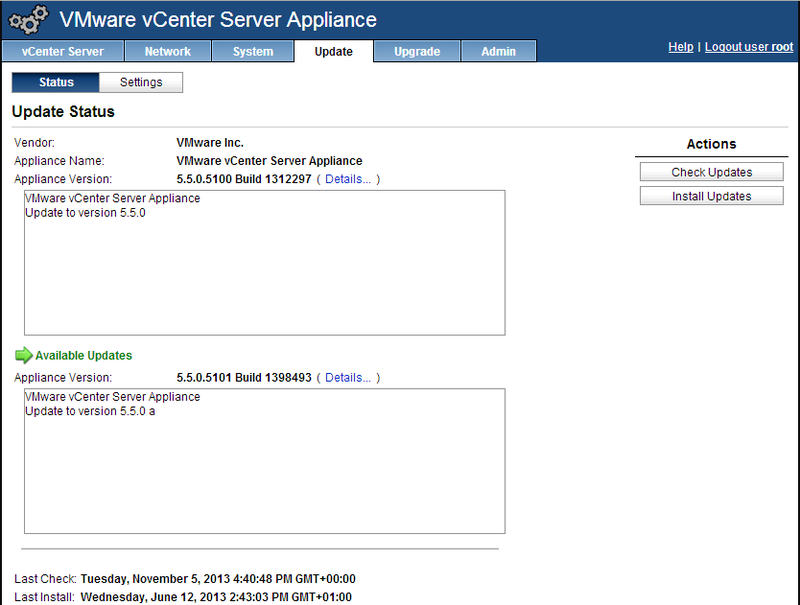 The only issue I encountered was after upgrading the VDP Appliance, it now doesn’t run backup jobs! There seems to be a general consensus in the community that VDP either works or doesn’t! It either backs up VMs flawlessly, or it errors out and you spend hours trying to work out what caused the error because the logging functionality is pretty pants! Still early days for this update and so far I can’t find anyone else online who has encountered the same problem!